Sheesh! It’s been HOT around here. I know, I know…it’s summer in Virginia. What did I think it would be like? Well, I knew it would be hot, but I wasn’t thinking it would be over 100°F. Not to mention that our lovely Virginia humidity has kicked it and had it feeling like it was 120°F!!! We’re talking serious record-breaking HEAT! Well, I’m sorry. That is totally out of line! No one signed up for this suffocating nonsensical weather! No one wants to feel like their walking into a blast furnace every time they open the front door. It’s too dang HOT! 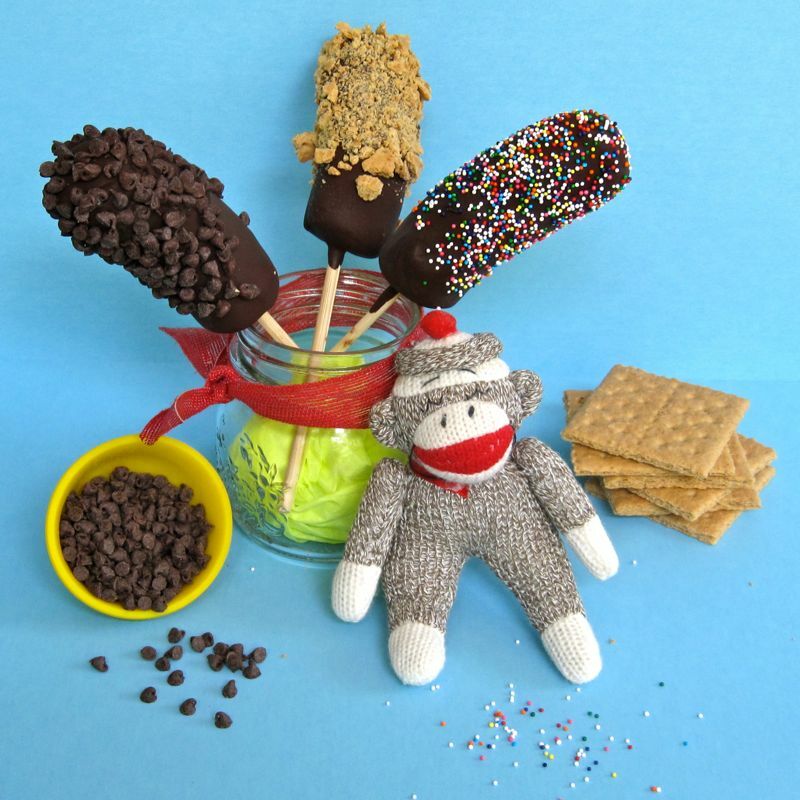 That’s why these frozen banana pops were just right for dessert! Chocolatey, peanut buttery, frozen nostalgia on a stick. Awesome! Very easy to prepare and guaranteed to make folks smile. These frozen yummies might even make you momentarily forget the state of the mercury outside. I must admit, it didn’t really work on me. But then again, I am somewhat permanently grumpy during the summer months in Virginia…. Whatever Toppings you prefer. I used mini chocolate chips, crushed graham crackers and multi-coloured cake sprinkles. Some other ideas-crushed up peanuts or the nut of your choosing, white chocolate chips, mini M&M’s or your favourite candy bar crushed up, coconut…get creative! Peel the bananas. Cut a bit off of each end and then cut bananas in half. Gently insert skewer in the bottom of each banana. 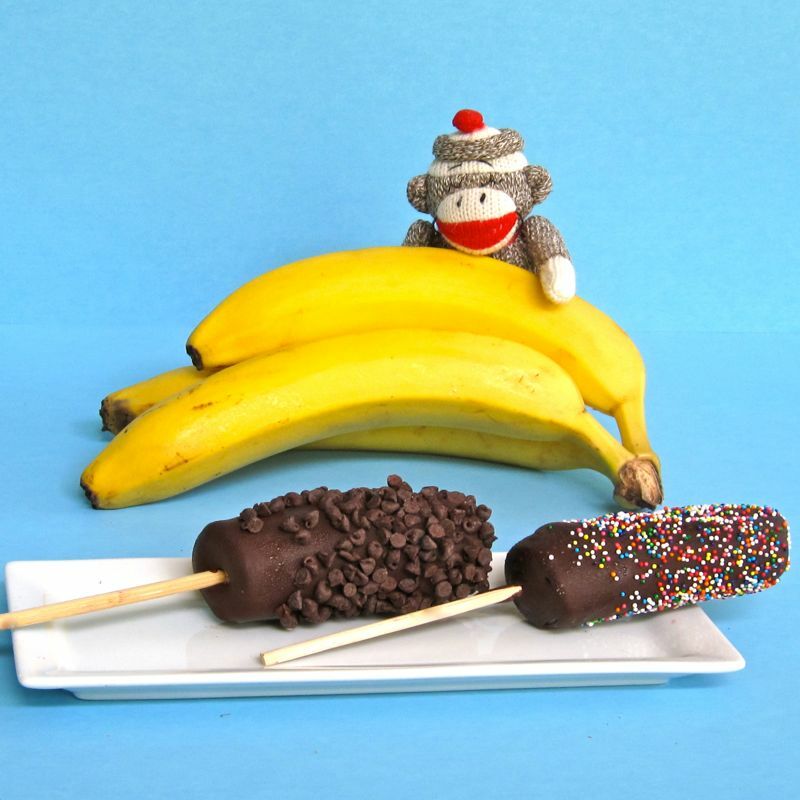 Place skewered bananas on cookie sheet and place in freezer for 30-45 minutes. While bananas are chillin out, prepare the toppings of your choice. Shortly before bananas are due to come out of the freezer, prepare the chocolate peanut butter coating. In a microwave safe bowl, place the bag of chocolate chips and the heaping 1/4 cup of peanut butter. Nuke the mixture for 1 1/2 minutes, stirring every 30 seconds until completely melted and thoroughly combined. Remove bananas from freezer. Dip each banana half into chocolate peanut butter coating, using a spoon to aid in completely covering the banana with the coating. Gently shake off excess coating. Before chocolate can completely harden, dip pop into your chosen topping, twirling and/or using a spoon to distribute topping equally over the length of the pop. Place covered banana pops back on cookie sheet and put back in freezer for 1-2 hours. Store in freezer in freezer-safe ziplock bags. Heavens! 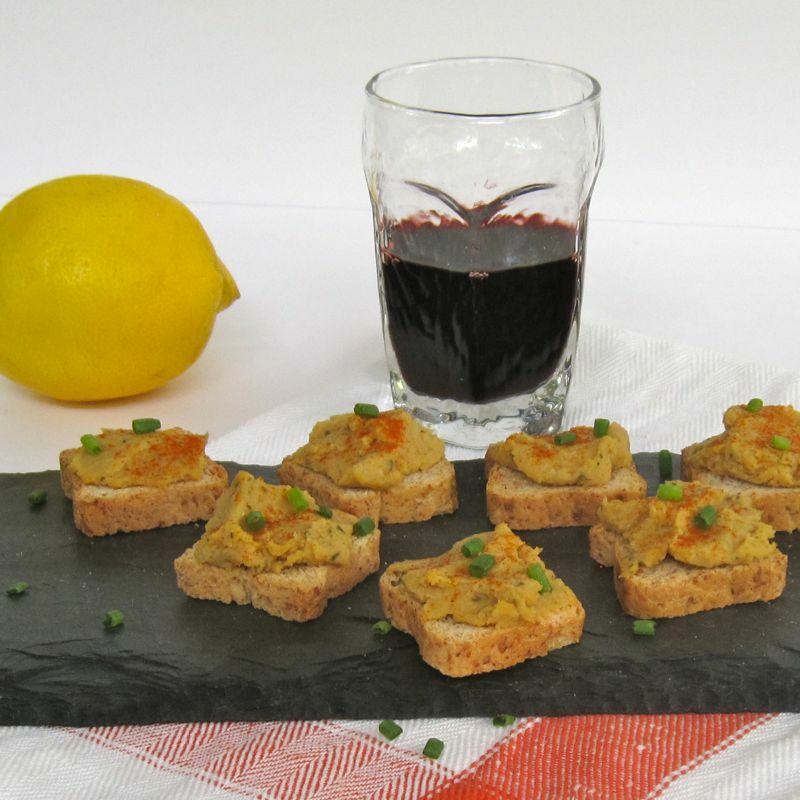 I knew this recipe was going to be great the moment I saw it on Food on Fifth and I sure was right! 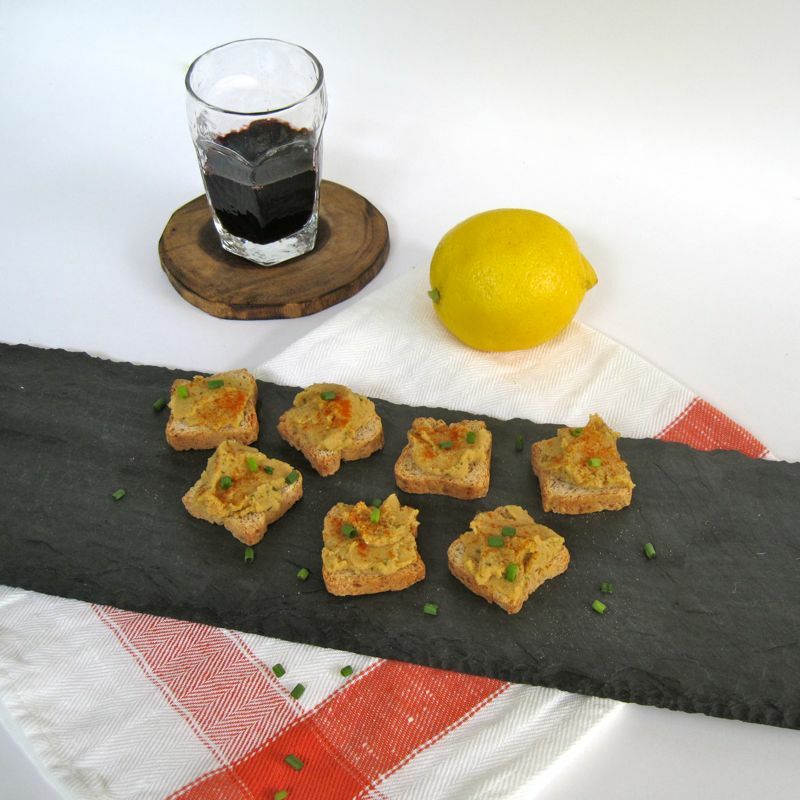 Spoonbread is a slightly sweet cornmeal based dish popular in the southern U.S. I don’t know why it’s mostly popular there. They must be keeping it a bit of a secret cause it is super tasty. Jay and I just finished scarfing down our first servings, and it will be time for seconds any moment now! Spoonbread is really not so much “bread” but more like a soufflé or an airy cornmeal bread pudding. 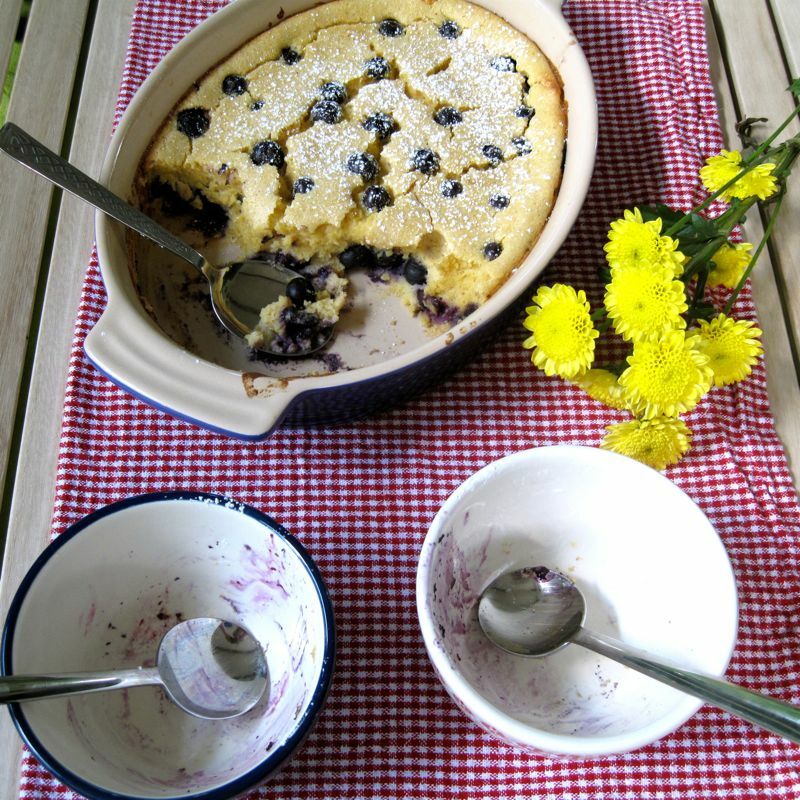 When you add in those fresh blueberries…it’s just unbelievably yummy. I couldn’t even figure out how to classify it…is it for breakfast or is it a dessert? I do declare, the answer is that it is for both and probably several other meals of the day if you’re lucky. 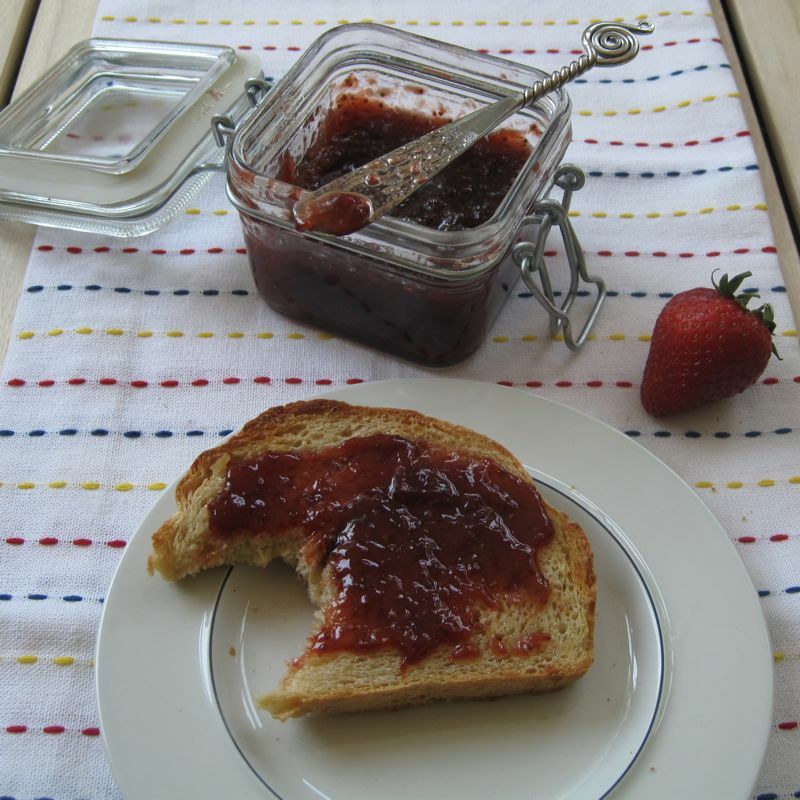 1 teaspoon salt – the original recipe called for 1 teaspoon of salt, which is what I used. My husband totally digs salt, so he was quite pleased with it. If you don’t like as much salt, you could probably reduce it by 1/2. In saucepan bring buttermilk and sugar to low boil. 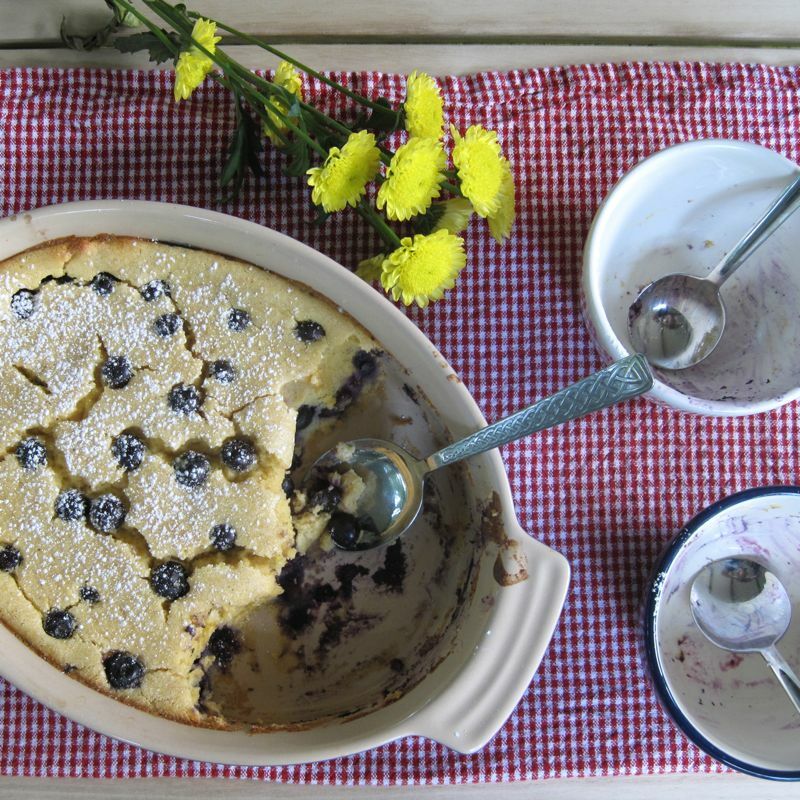 When the buttermilk begins to bubble around the edges of pan, slowly whisk in the cornmeal. Turn heat down to low and stir with the whisk for 8 minutes. Mixture should be mushy. Remove from heat to cool slightly. Beat egg whites with salt until stiff. Set aside. Whisk butter and vanilla into cooled cornmeal mixture. Add egg yolks to mixture and whisk until blended. Stir in cream with whisk. 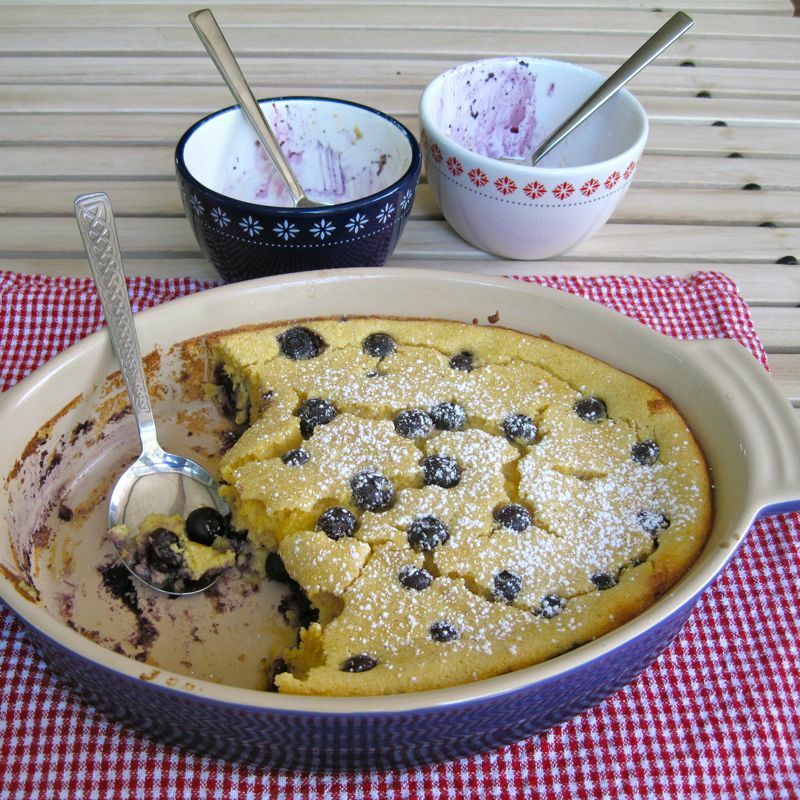 Pour 1/2 mixture into buttered baking dish and top with 1/2 blueberries. Spread the rest of cornmeal mixture over berries. Top with a scattering of the remaining berries. Bake for 30-35 minutes until top is golden brown and it is firm but wobbly in the center. Remove from the oven and let sit for 5 minutes. Serve with a dusting of powdered sugar. * This recipe doesn’t make a whole mess of spoonbread. The dish I used is an 8×10 oval gratin style dish. An 8×8 dish would likely work fine. Or individual ramekins might be nice. 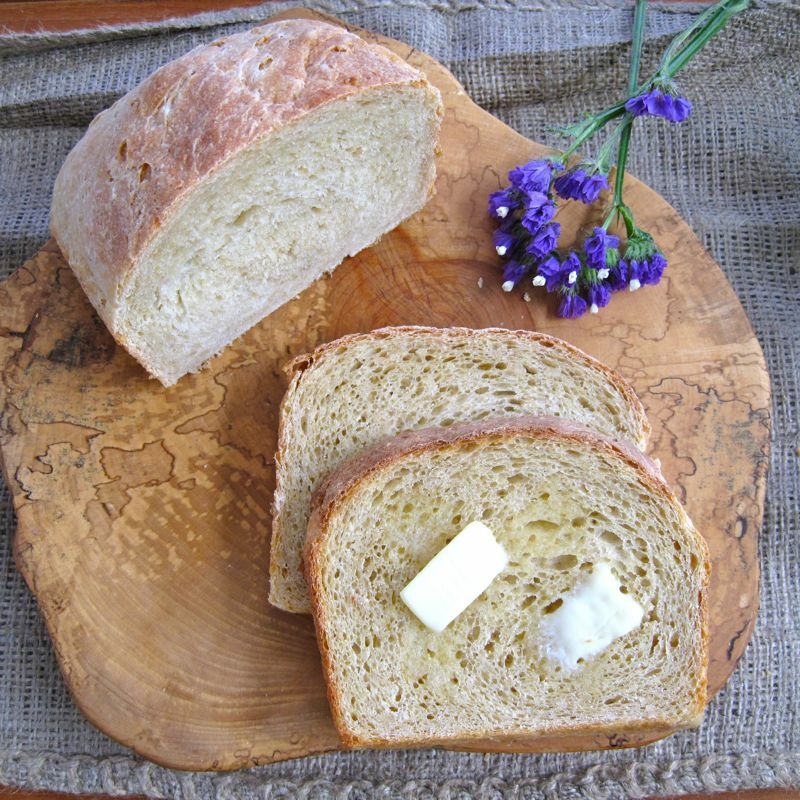 Struan, a soft, enriched multigrain loaf, is my all-time favourite bread, hands down! 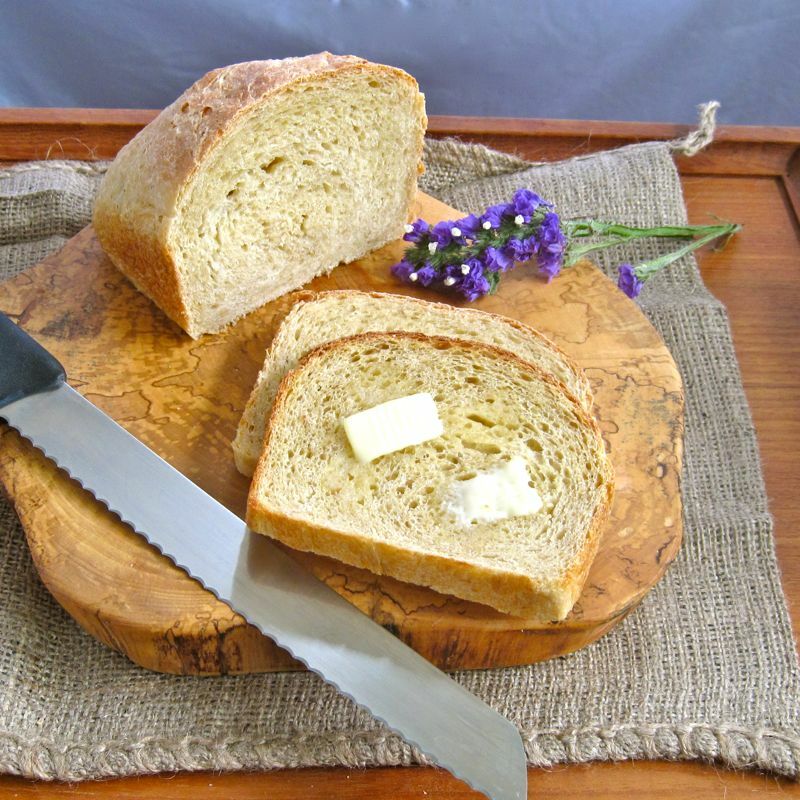 The bread likely originated in Scotland and was a once-a-year harvest bread which contained all of the grains and seeds which were available from the harvest. Don’t get me wrong, I really love Irish Brown Bread and Irish Soda Bread. But Struan is just so versatile. 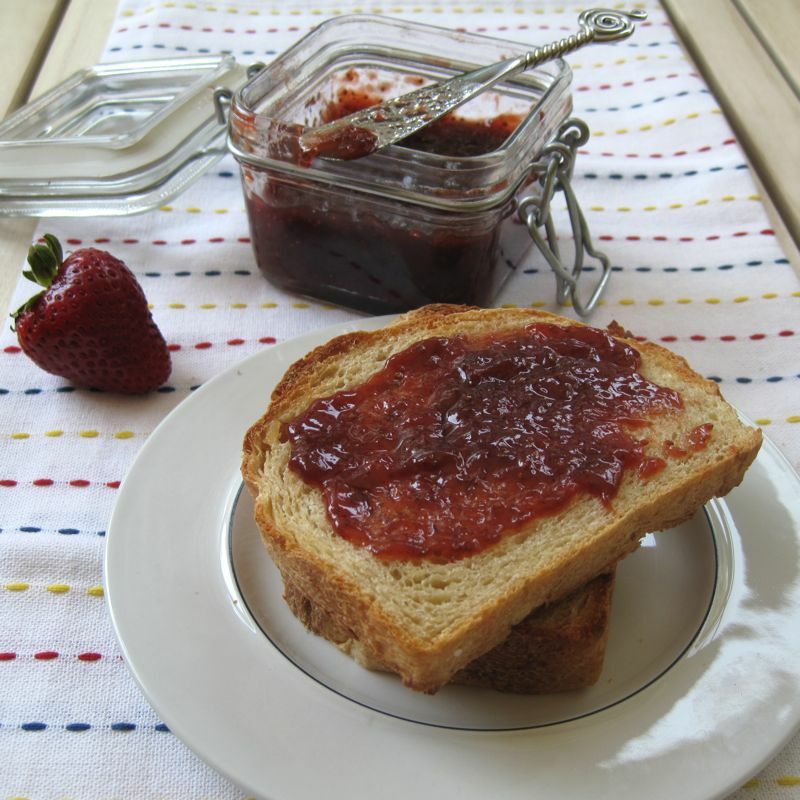 It’s great for sandwiches and unbelievably awesome when toasted. Up until recently, I had never baked it myself. Believe me, I had found a reliable source for the precious loaves. Lucky for us, Atwater’s, which does a fabulous rendition of Struan, has a stand at the Falls Church Farmer’s Market on Saturdays. I would venture down there every 6 weeks or so and buy 4-5 loaves at a time. It freezes fantastically well! Of course this meant that our freezer was largely occupied by stacks of bread, but hey…we loved this bread so much that limited freezer space seemed a small price to pay. Then I got the crazy idea that I would just go ahead and try to bake it myself. I have actually always been a bit apprehensive of baking any kind of yeast bread. Quick breads were no problem, but the whole yeast thing seemed rather mysterious and somewhat scary to me. Peter Reinhart, whose pizza dough recipe is in high rotation in our house, has a recipe for Struan in his Artisan Breads Every Day book. This book is fantastic! It’s chock full of great recipes and explains the technique, in simple language, that you need to master in order to produce these world-class breads. If you are at all interested in bread baking, it really is a must. I have not managed to work my way through the book entirely, but he hasn’t disappointed us yet! So my desire to taste freshly baked Struan bread, right out of the oven, trumped my irrational fear of yeast breads and I gave his Struan recipe a go. Once I actually got into it, I found it really wasn’t very difficult to do at all. It did take a bit of time what with the planning ahead stuff and rising time, but I felt so completely self-satisfied and proud when my gorgeous, home-baked Struan bread came out of the oven. Not to mention, it was truly delicious! Slightly different from our Atwater’s standard in that it was not as dense, definitely lighter, but still had great texture. I was very pleased with the whole experience and am already planning to bake my next couple loaves. Actually, truth be told, I need to go ahead and bake more as we’ve already managed to devour the first two! 🙂 I think Atwater’s is going to miss me! 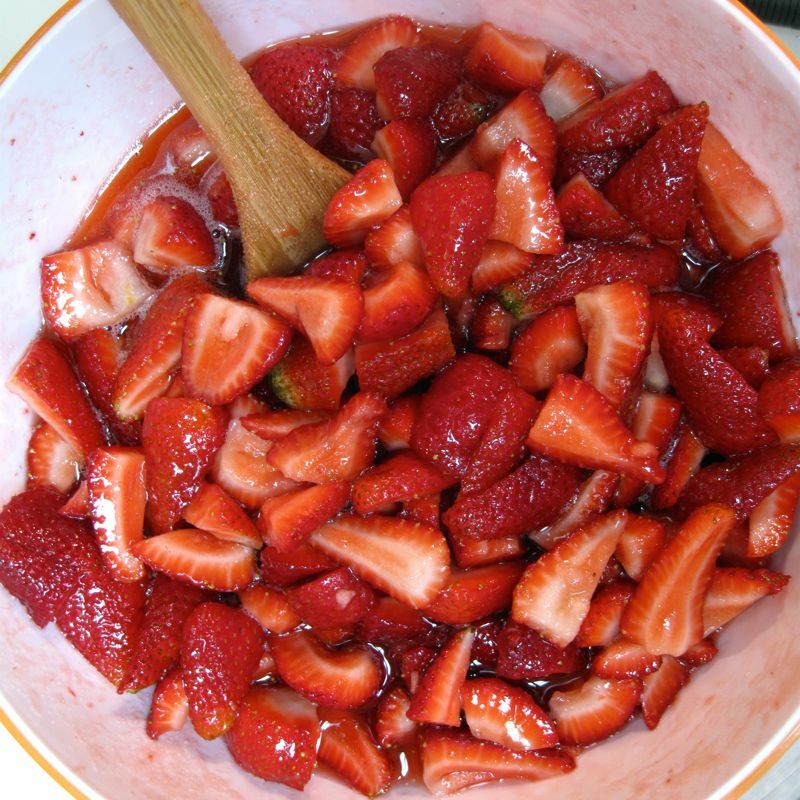 Combine all of the ingredients in a large mixing bowl. If using a mixer, use the paddle attachment and mix on the lowest speed for 2 minutes. Let the dough rest for 5 minutes to fully hydrate the flour. Transfer the dough to a lightly floured work surface, then dust the top fo the dough with flour. Lightly knead the dough for 2-3 minutes, adding more flour as needed to prevent sticking. The dough will still be soft and sticky but should hold together to for a soft, supple ball. With oiled hands, reach under on end of the dough, stretch it out, then fold it back onto itself. Do this from the back-end and then from each side. Flip the dough over and tuck it into a ball. Place the dough in a clean, lightly oiled bowl, cover and let sit at room temperature for 10 minutes. Repeat this entire process three more times, completing all repetitions within 40 minutes. Place dough in a clean, lightly oiled bowl, cover the bowl tightly with plastic wrap, and refrigerate overnight for up to 5 days. Remove the dough from the refrigerator about 2 hours before you plan to bake. Shape the cold dough into one or more sandwich loaves using 28 oz of dough for 4 1/2 x 8 inch loaf pans and 36 oz. for 5×9 loaf pans. 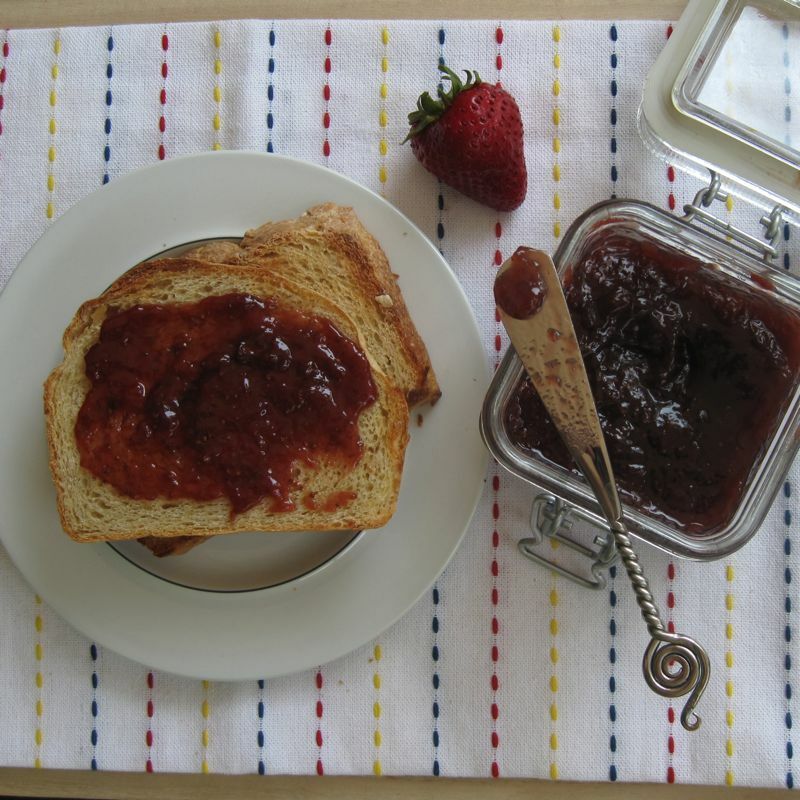 (After making this bread many times, I generally take all of the dough from one batch and shape it into one sandwich loaf which I bake in a 5×9″ pan. 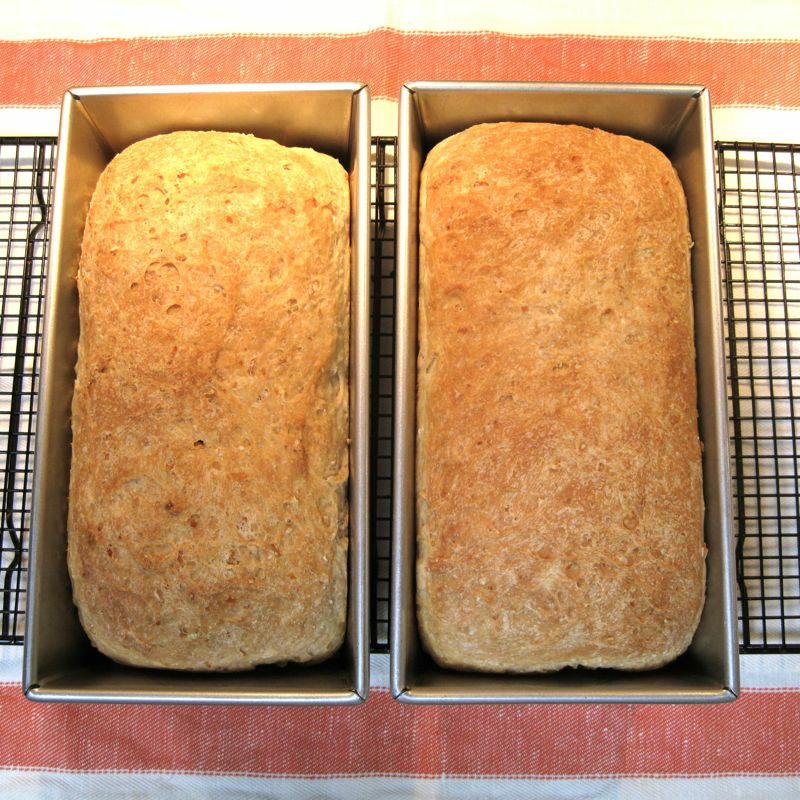 I used to divide the dough and make two loaves, but I prefer the fuller loaf that I get by just using the one pan.) The dough can also be shaped into any size freestanding loaf you desire; or into rolls using 2 oz of dough per roll. For sandwich loaves, proof the dough in greased loaf pans. Brush the top of the dough with water and sprinkle with poppy seeds (if you wish) then mist with spray oil and cover loosely with plastic wrap. Let the dough rise a room temperature for 1 1/2 to 2 hours, until increased to about 1 1/2 times its original size. In loaf pans, the dough should dome at least 1 inch above the rim. About 15 minutes prior to baking preheat the oven to 350° F (177°C). 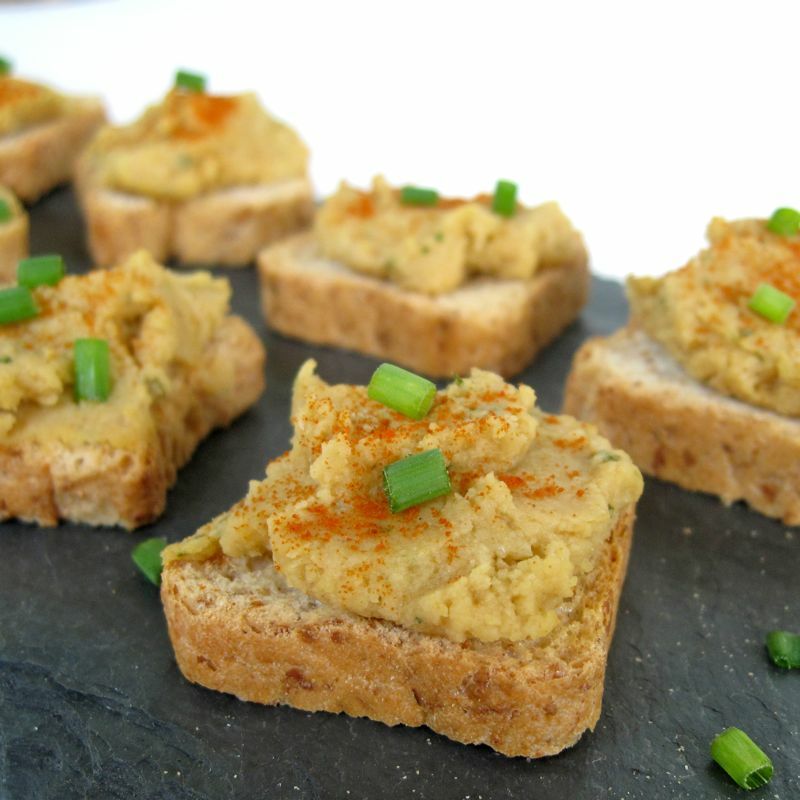 Cool for at least 20 minutes for rolls and 1 hour for large loaves before slicing or serving. *Sticky dough means the dough will stick to a dry finger when you poke it. Tacky dough behaves more like a post-it not, sticking to your finger but peeling off easily. With very tacky dough it means a little bit of dough may stick to your finger, but most of it peels off easily. 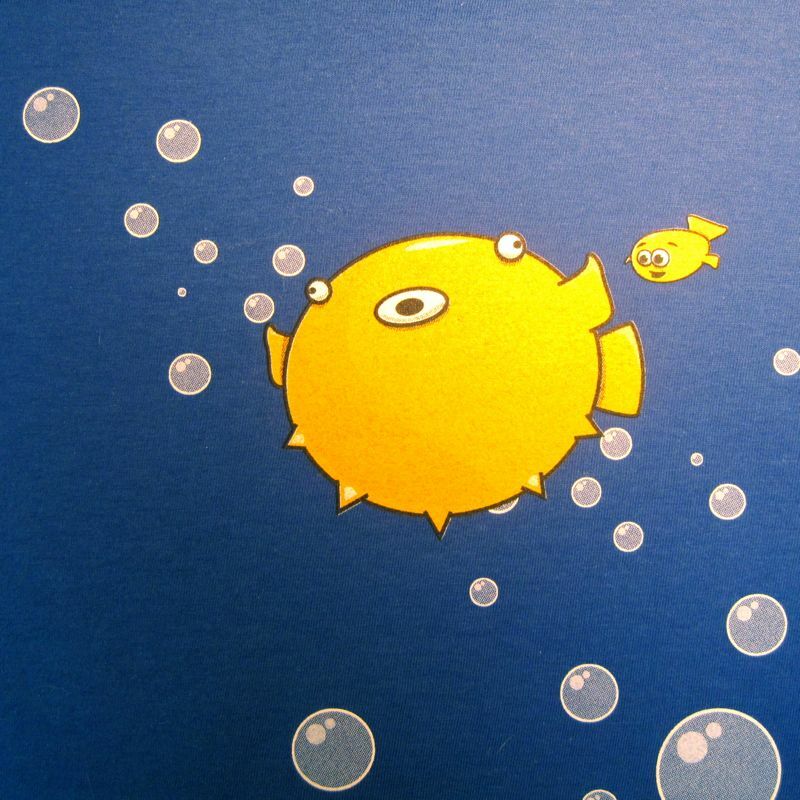 Last Thursday, July 7th, Bitly turned three years old! Jay and I travelled up to New York to the Betaworks office to celebrate with the Bitly team and to further mark the event, I baked a whole lot of Oreo Stuffed Brownie Bits. Over 100 of those little devils! Oh, and that is “Bits” not “bites”. Get it….bits for Bitly? Anyway…I’m sure by now many of you are wondering “What in the world is Bitly?” Bitly is a URL shortener which allows its users to not only shorten their long URL’s, which is very important in these days of 140 character tweets, but also aids them in sharing and tracking their links. Furthermore, it allows them to view complete, real-time traffic and analytics data as well. You may have noticed “Bit.ly” if you use Twitter, but Bitly also powers more than 10,000 custom short URL’s. So if you see a short URL, Bitly is most likely behind it. 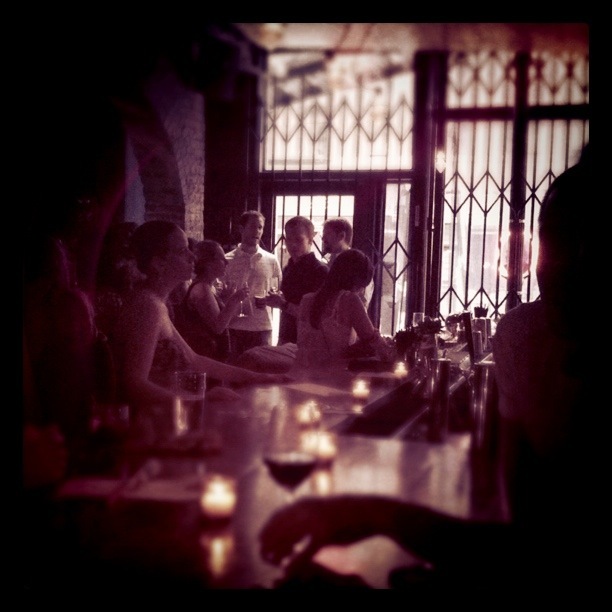 My husband is the Architect for Bitly, and wrote the first rev of the product three years ago, hence our inclusion in the festivities, which were held at Madam Geneva’s on Bowery and Bleeker. Madam Geneva, which was named for the 18th Century English slang for Gin, is a hip bar and lounge with a speak-easy vibe located adjacent to the Double Crown restaurant. 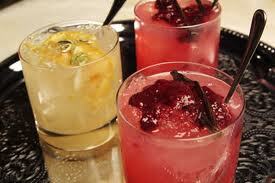 They serve a tasty specialty cocktail which consists of your choice of several different jams or preserves served over ice with gin or vodka. Yummy! 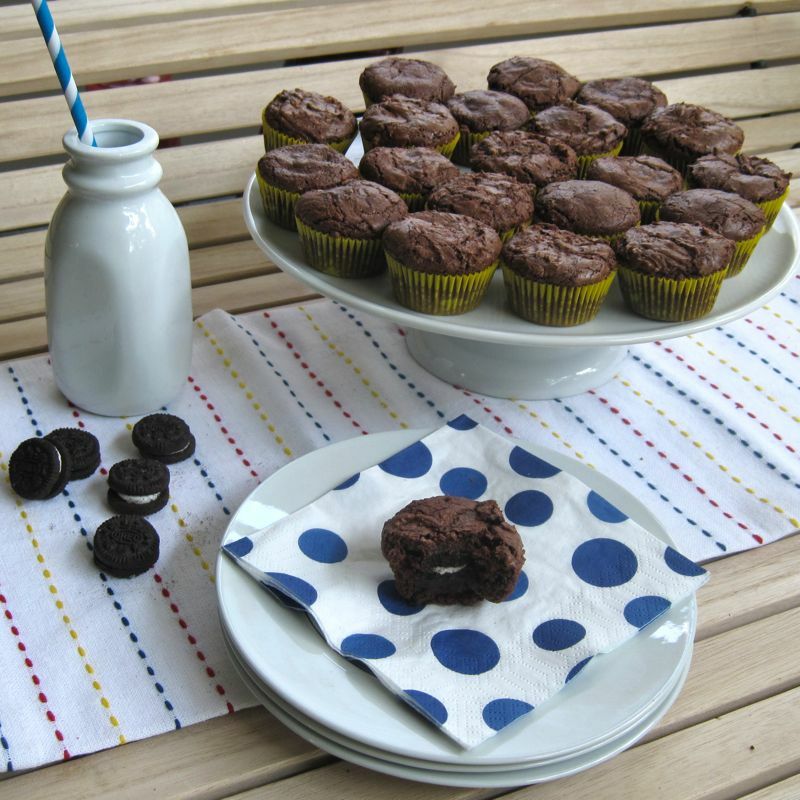 I adapted this recipe from an Oreo-Stuffed Brownie recipe on Sing For Your Supper. They made regular sized brownies with their favourite King Arthur Flour Brownie recipe (now a favourite of mine as well) and stuffed them with full-sized double stuff Oreo’s. As mentioned, I was looking for a smaller, easily portable treat, so I opted to make individual, mini cupcake -like treats. However, if you’d rather super-size your brownies, that is definitely an option. Just use full sized Oreos, full sized chocolate chips, a 9×13 pan and bake them for about 35-40 minutes. No matter what the size, these guys are addictive! Make some today! Preheat the oven to 350 degrees. 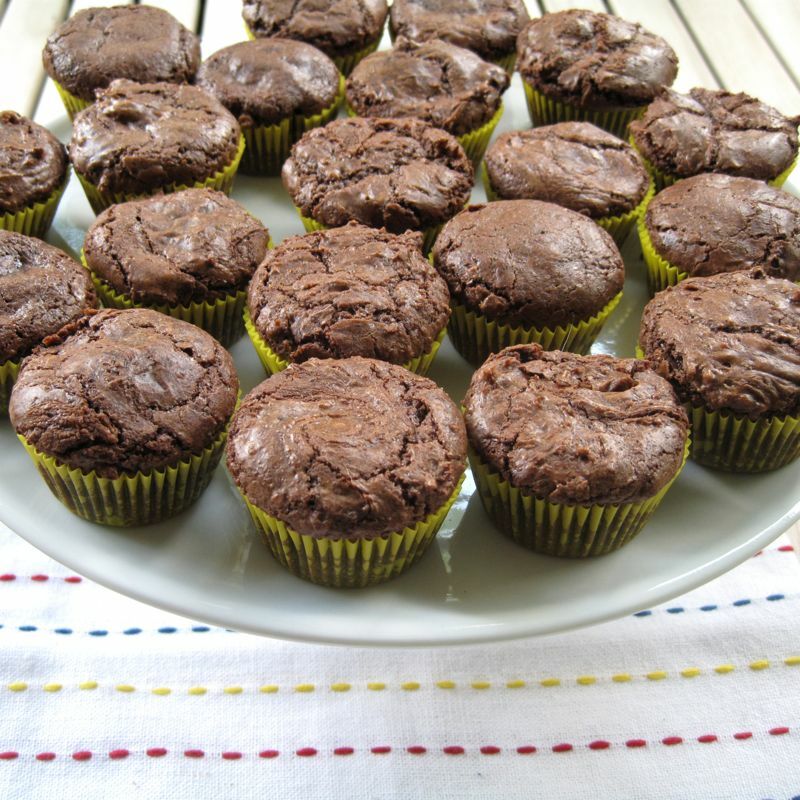 Line a mini muffin pan with mini cupcake liners or lightly grease each well of the pan. In a medium-sized microwave-safe bowl, or in a saucepan set over low heat, melt the butter, then add the sugar and stir to combine. Return the mixture to the heat (or microwave) briefly, just until it’s hot, but not bubbling; it’ll become shiny looking as you stir it. Heating the mixture a second time will dissolve more of the sugar, which will yield a shiny top crust on your brownies. While the sugar heats a second time, beat the eggs, cocoa, salt, baking powder, espresso powder, and vanilla until smooth. Add the hot butter/sugar mixture, stirring until smooth. Add the flour and chips, again stirring until smooth. Using a small cookie scoop, fill the scoop halfway with the brownie batter. Place batter in the bottom of each muffin well. 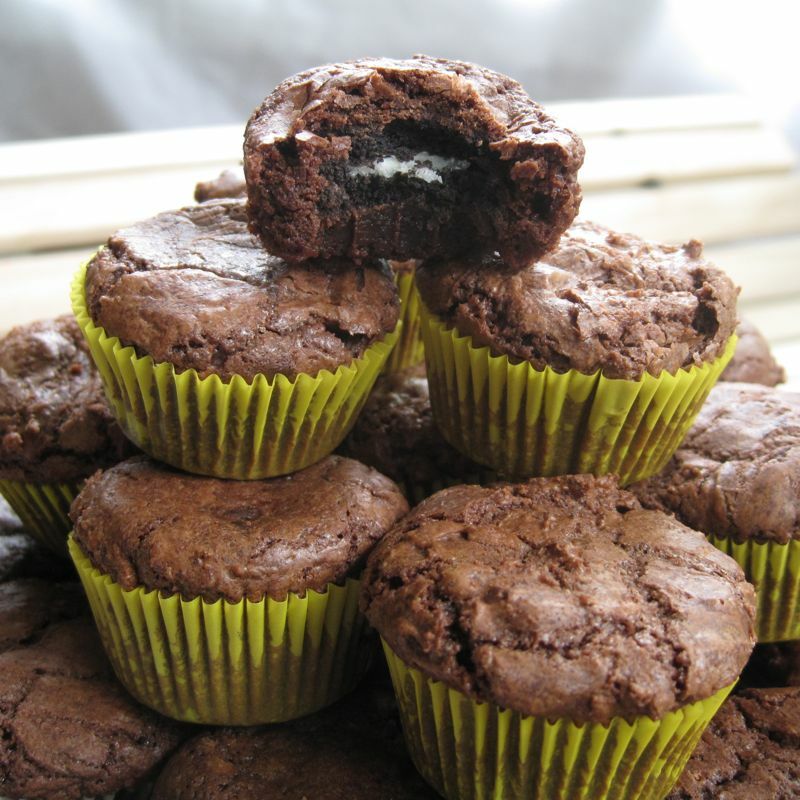 Place one mini Oreo cookie on top of the batter in each of the muffin wells. Top each Oreo with another one half cookie scoop of batter. Bake for about 18 minutes, until a cake tester inserted into the center comes out clean. Cool the brownie bits for at least 10 minutes before serving. Have Mercy! My kitchen is in shambles, every dish is dirty, it is a true, honest to goodness mess. But do you know what I have now? 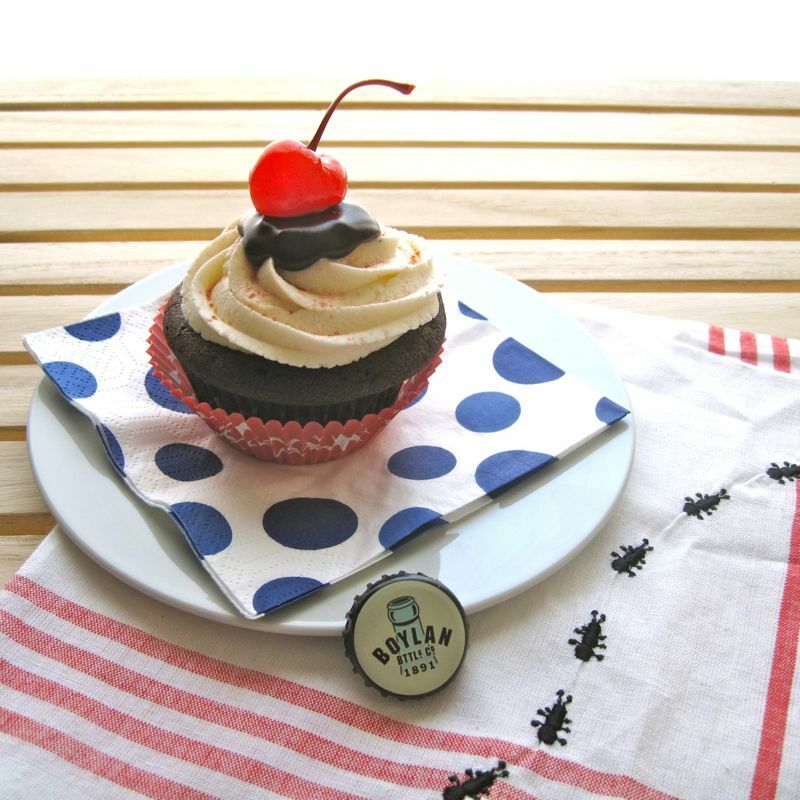 Root Beer Float Cupcakes! 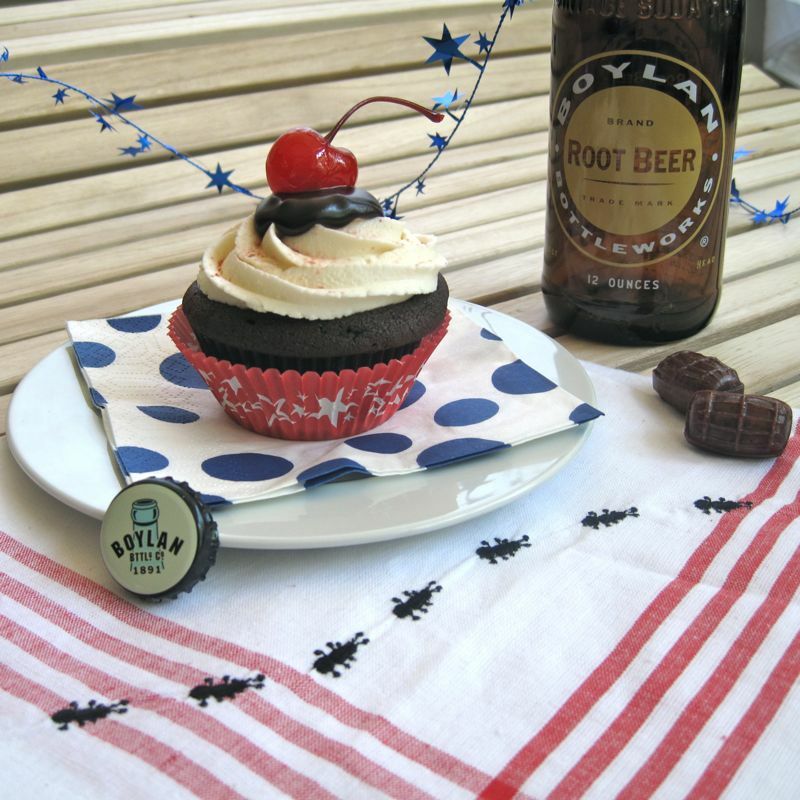 Wait…let me say it slower…root beer…float…cupcakes! Yup…you heard me. I mean, I love root beer all on its lonesome. I love root beer floats even more. And well, anyone who knows me knows I have a BIG thing for cupcakes. I’ve got all three awesome things wrapped into just one in these little dickens. They even have home-made hot fudge sauce on top. Good Lord! Now, I must admit, these little guys were not easy to make. There were a bunch of steps, and as I mentioned, LOTS of dirty dishes. Oh well, no pain, no gain – hopefully I’m not talking about weight here, though these little gems are amazingly decadent! It didn’t help matters that I doubled the recipe. I thought Root Beer Float Cupcakes would be perfect for a 4th of July cookout I was attending and wanted to make sure there were enough to go around. Root Beer seems pretty “American” to me and the “Float” part is quite nostalgic. Everyone loves cupcakes, a very portable and picnic-friendly dessert. So I got to work on these. and I worked…and I worked…In all honesty, I must admit, there is nothing really hard here. Just a bit time-consuming. But it paid off in the end. The cupcakes looked fantastic and got rave reviews at the cookout. So, when you’ve got a bit of time on your hands, and a hankering for a root beer flavoured delectible…I’ve got just the thing for you! In a bowl, whisk egg and sugar until smooth and no lumps remain. Add cream, butter and vanilla, and mix until combined. Stir in sour cream. Sift dry ingredients together and add to wet mixture. Add root beer concentrate and root beer. Mix until batter is smooth. 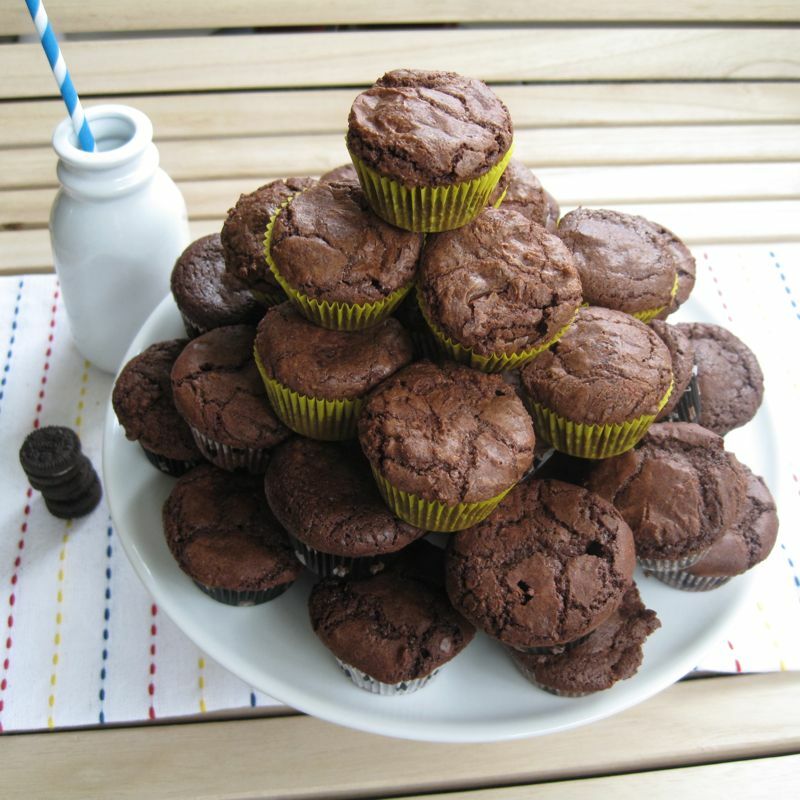 Line a muffin tin with liners and using a heaping 1/4 cup measure, add batter to each cup. Bake for 15-18 minutes. Let cool before frosting. 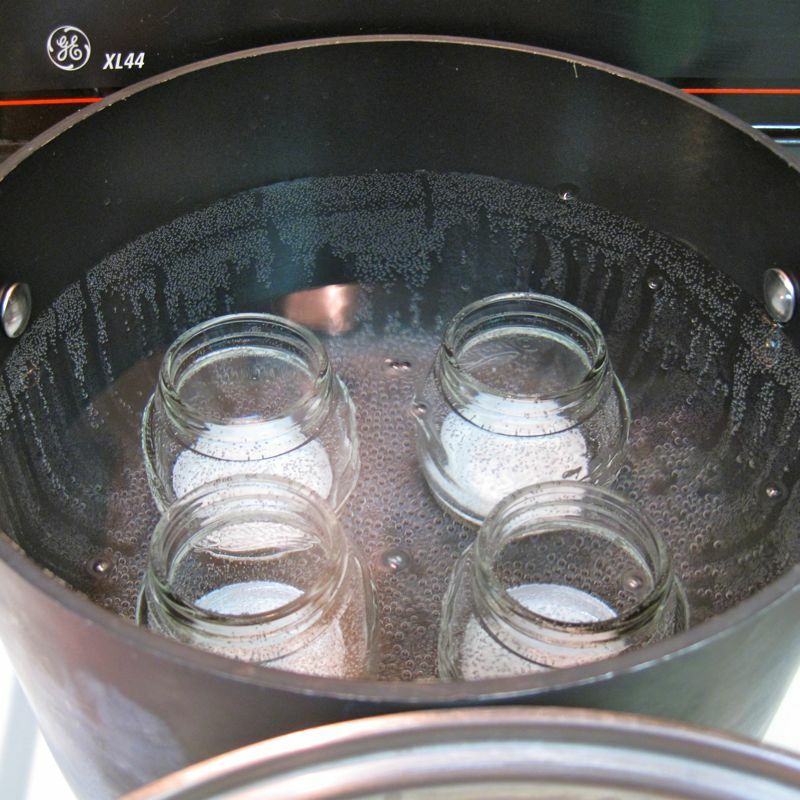 Place root beer barrel candies in food processor and pulse until the candies are finely ground. Set aside. In the bowl of an electric mixer, cream butter until smooth. On low-speed, add powdered sugar one tablespoon at a time. I know, I know, this is tedious but will result in a frosty that is smooth and creamy, not grainy and you will likely not need all 4 cups of the powdered sugar to reach appropriate frosting consistency, if you add the sugar in slowly like this. Increase speed to bring the frosting together. Add milk and vanilla extract. Beat until smooth. Remove almost all of the vanilla frosting, leaving behind about 1/3-1/2 cup in the mixer. Set vanilla frosting aside. Add root beer extract to remaining frosting in the bowl and beat until it comes together. Prep two pastry bags (or you can simply use spoons) and fill one with vanilla frosting and the other with root beer frosting. 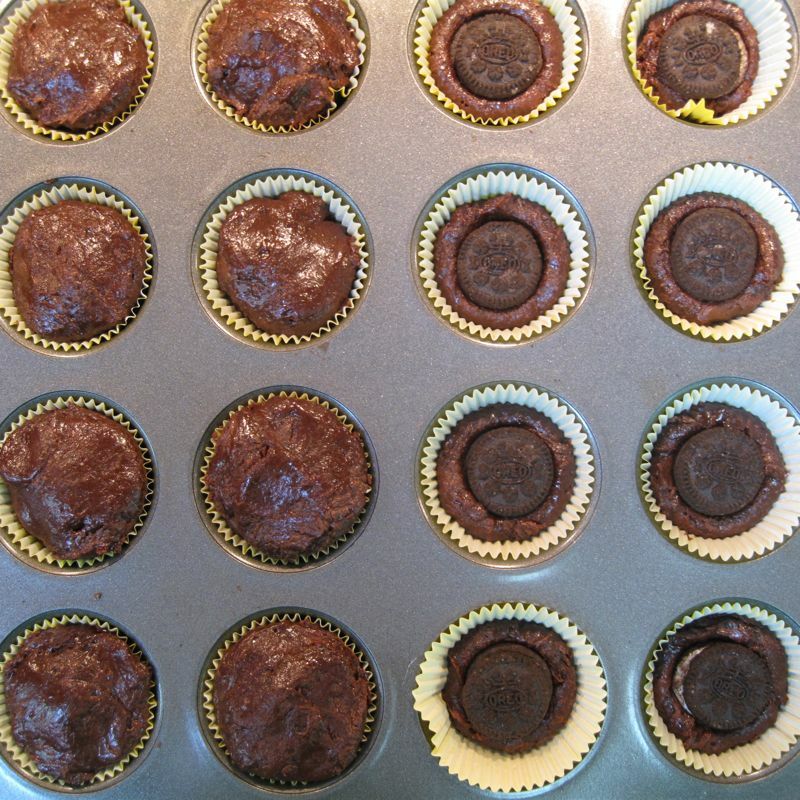 Once the cupcakes have completely cooled, using your 1″ round cookie cutter or apple corer, cut the centers out of the cooled cupcakes, cutting down 2/3 of the way through the cakes. Pipe the root beer frosting into the holes, filling each cupcake to the top. Then use the vanilla frosting filled pastry bag to finish frosting the cupcakes. 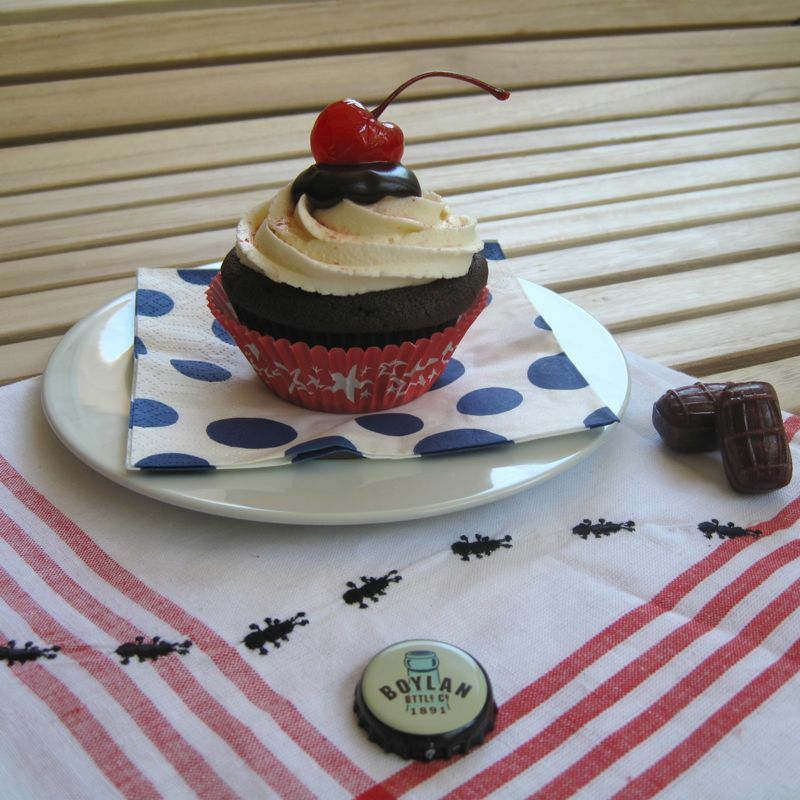 Sprinkle pulverized root beer barrel candy over the top of each cupcake. Combine sugar, cocoa, salt and flour in a bowl over a double boiler. Bring milk to a boil. Gradually add hot milk to sugar mixture. Stir constantly until mixture thickens. Once it has reached your desired thickness – I like mine pretty fudgy, so I probably cooked it for about 15 -20 minutes or so – remove from heat and stir in butter and vanilla. Store in refrigerator. *This recipe makes a good deal of sauce, which will keep well in the fridge.You will have lots left over for ice cream topping, or actual root beer floats in the future! Fill another pastry bag with hot fudge sauce, which has reached room temperature, and pipe a large dollop of fudge on the very top center of each cupcake. The fudge will flow down the sides a bit. 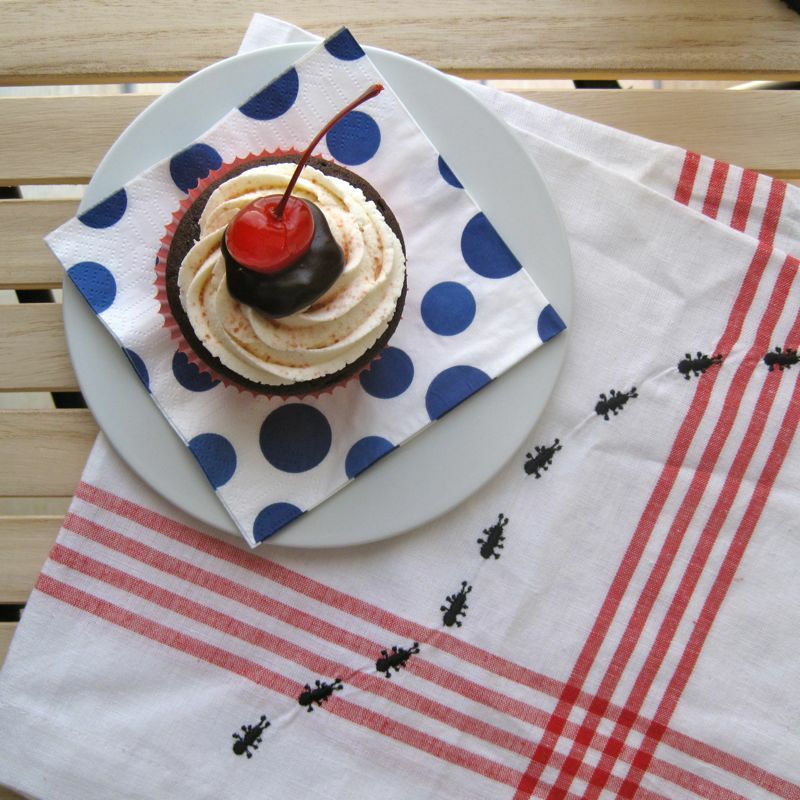 Place maraschino cherry on top of each cake. 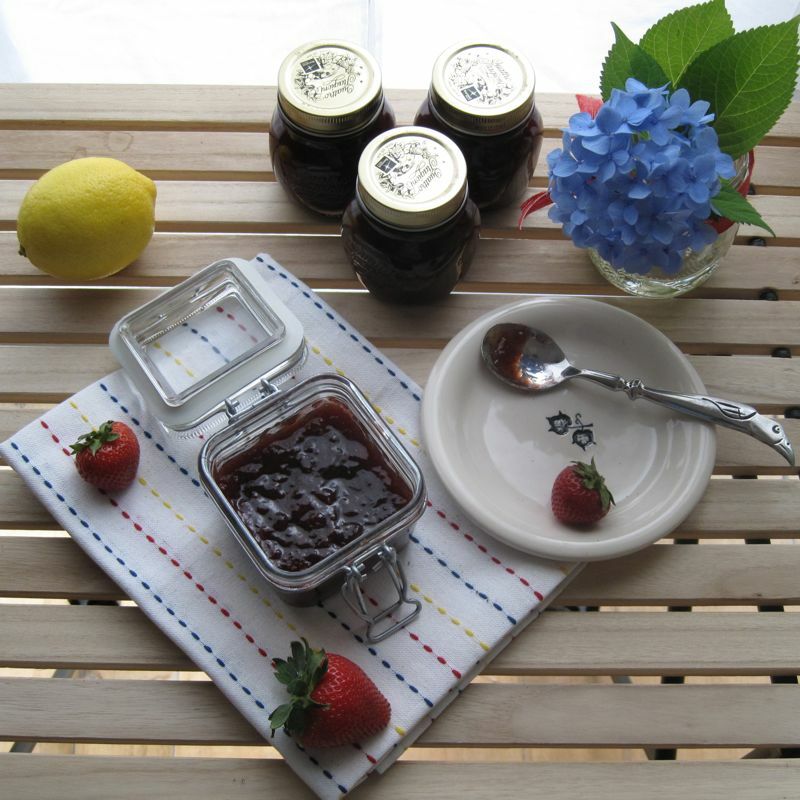 You are currently browsing the Lea & Jay blog archives for July, 2011.